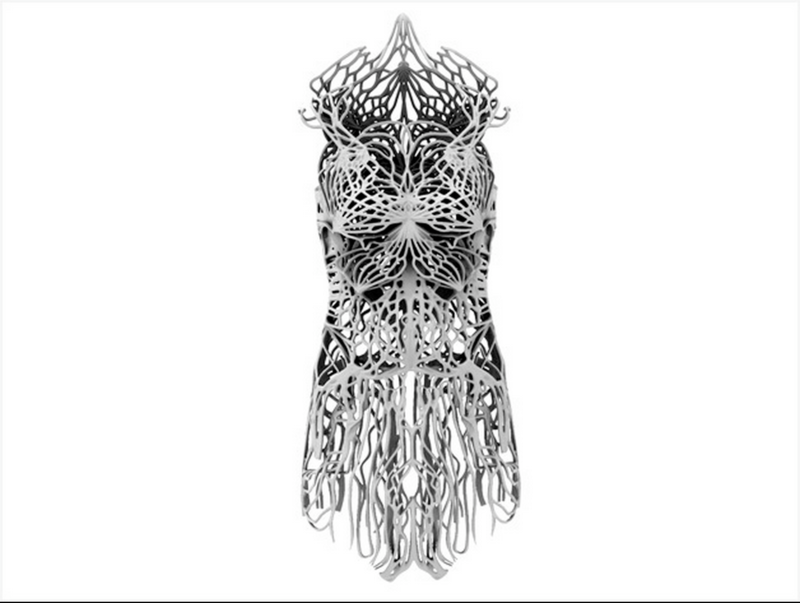 Visit the Thingiverse today and you’ll find a new addition: a freely available, high-fashion dress ready to be 3D printed. Designer Francis Bitonti created the dress with the help of students in a fashion workshop at the Pratt Institute in New York City. It took around 400 hours spread across two printers to print the dress. It’s made with MakerBot’s new flexible filament, which will be available soon to use to print 3D objects. Bitonti revealed the dress Thursday at Autodesk’s Design Night–a monthly design event in downtown San Francisco. 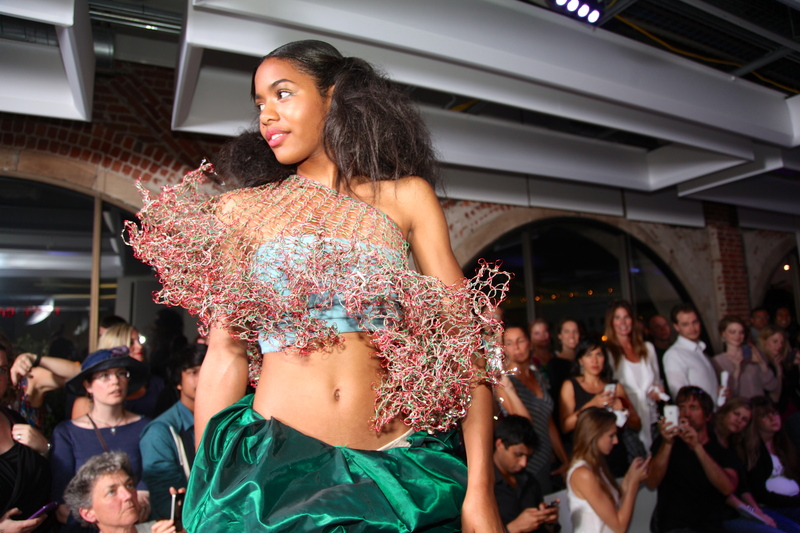 Just after his presentation, San Francisco designers showcased fashion creations that utilize 3D printing and electronics. Check out the rest of the outfits from the show in the slideshow.